I have a BMW X5 3.0i 2006 with the business CD radio. When I use the keyless entry to open the door(s) the radio turns on automatically. It did not do this before. This did not bother me too much until I tried to change the station. 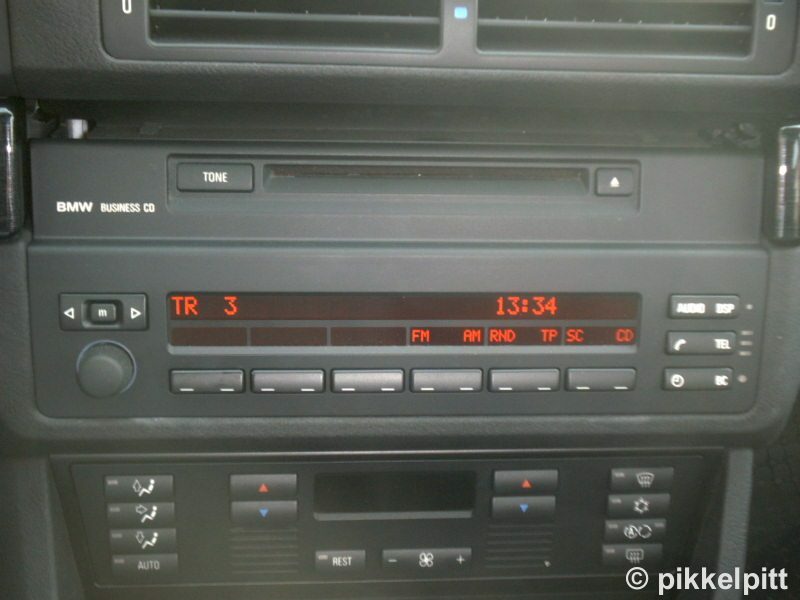 The station buttons on the radio do not work, only the volume knob and the button on the CD player works. However I am able to control the radio from the steering wheel so it looks like the radio actually works. I’m hoping it is just some setting that someone came across. I would think there was something with the radio but the keyless entry makes me think it’s some setting. ZTX I am sorry to tell you this but they messed your X5 up. You could try resetting the X by disconnecting the negative terminal for like 15 to 30 mins. Not sure it will help. But the way the X is wired is if you turn off the ignition remove the key the mid still works until the driver door is opened up. If you open the door then it shuts off. you can still turn it on manually via pushing in the volume button and it will stay on for about 15 - 20 mins without the key. not in reverse. Keless entry\ me unlocking my doors have never turned on my mid. Would be any button on the MID stuck on 'on' position? Press them all and see if that's the case. You might need to take the MID out and check the contacts of each button if from the outside you cannot find the stuck one. That's what I suspect to cause the problem. I will try to pull the radio out later today to see what that does. If it does not do anything I will try to pull the neg terminal off for a 15 minutes. Anyone know if this radio has a password once I plug it back in? When I got into the car to get ready to pull the MID out I decided to start tapping the buttons to check if they were stuck. I tapped all the buttons pretty vigorously and looks like one of them was stuck because it was fixed. I even tapped the Volume/Power, I think this may have been the one. I almost never turn the radio off I always just turn the volume down. That function does not get much use and who knows what kind of dirt can build up there over the years. Thanks fmugur for your direction. Because of the key-less entry my brain was stuck on something more complicated. Thanks for your advice nigwhyrito also. I'm glad I didn't have to pull the power to clear stuff from the system but that may be useful in the future. I do intend on playing around with the system at least a bit.